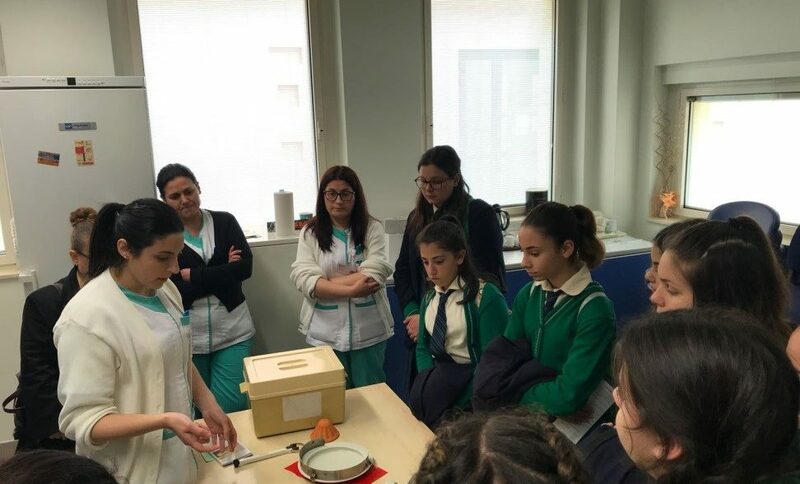 On the 12th April 2018, Senior 3 students studying Biology visited Mater Dei Hospital. The HR representative emphasised the importance of the health care profession. This profession involves hard work but is very satisfying. Students need soft skills and must be endowed with a sense of care, empathy and good communication to succeed in the field, over and above their studies. The speaker emphasised that the professionals need to work in a team to offer the best service to patients. A positive attitude is also needed, enabling the patient to recover more easily. 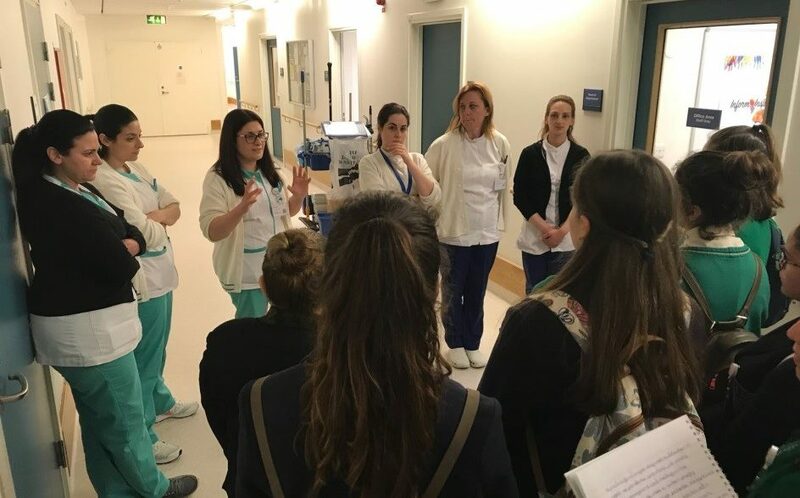 Students had the chance not only to familiarise themselves with the various roles that exist within the public health care system, but also to acquire information about several facilities. The students visited the medical imaging department. The speaker explained that x-rays of bones are taken to check what is wrong. In order to produce good images, they take mill fractions of images in a short period of time, to provide the consultant with a variety of images. They also carry out mammograms. She explained that 16 slides are taken in batches and the machine chooses the thickness. In MRI (Magnetic Resonance Imaging) they use magnets and the hydrogen in the body helps produce an image. They also carry out ultrasounds of all body parts except for the intestines. They also do scans on statues to help artists during restoration. X-rays are used to determine the accurate age of an individual. 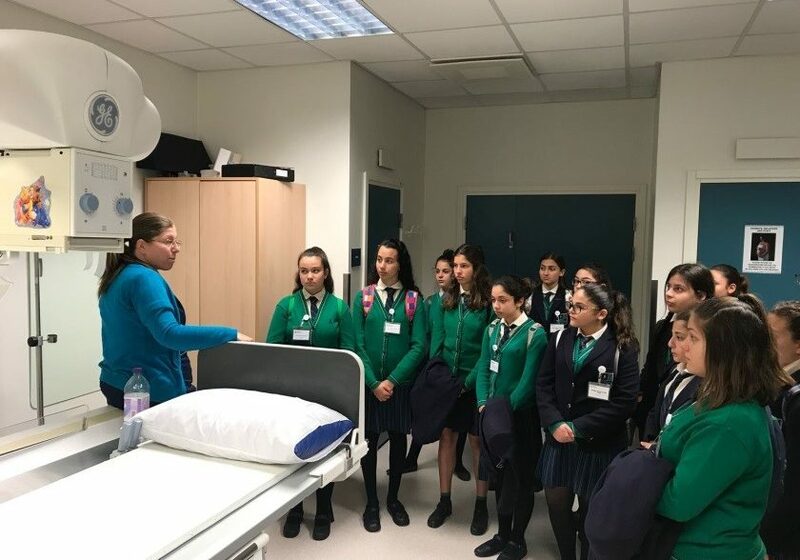 The Nurse explained that their role is to improve and restore independence in clients who have sustained injuries, developed illnesses, disabilities or psychological dysfunction by teaching activities which are of great importance in everyday life. This has been an enriching and informative positive experience for our students. Students claimed that this experience enabled them to reflect on the services offered to the Maltese community.